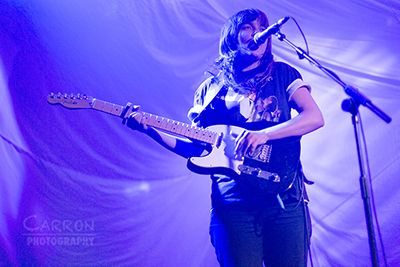 Courtney Barnett has come a long way over the last 18 months. The sudden worldwide success of double EP ‘A Sea Of Split Peas’ left her touring the same old setlist, despite having her debut album largely finished by the summer of last year. But now ‘Sometimes I Sit And Think, And Sometimes I Just Sit’ is finally here, and she is ready to unleash a newfound energy on her audience.